When a teenage kid wants freedom, it seems at that point, parents are the most controlling. Inside, they want to gain your trust and let you have your teenage freedom, and they may sometimes (but not always) not trust you. This article will help you earn your parents’ trust and might make the relationships between parent and teen stronger. If your parents tell you to do something, do it immediately. Yes, you have to do the laundry or empty the dishwasher the first time. And remember to show a little bit of individuality to your parents. For example, if your friend calls to tell you about a party, reply no and let your parents know about this. This will show to your parents that you’re not looking for every opportunity to party. Be sure you have all the details about the party you’re going to. This way you can tell your parents what is going to happen. Tell your parents if you’re going to be driven somewhere. Before you do, make sure that person has good intentions and has a license before you ask for permission. Keep your cool if your parents don’t let you do something. Shouting back and arguing gives a bad impression and makes you look like a 2 year old. After all, they may be right in not letting you doing that activity. Do all of your chores and homework. Say something only if you mean it. 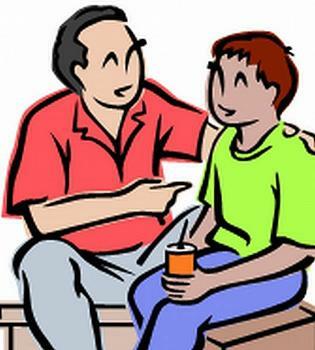 If your parents accuse you of doing something you didn’t do, relax and calmly tell your side of the story. They will be able to understand you. Make sure to do little things for your parents, like fill their drink or make breakfast, without being asked. Your parents will love you even more and will do things you want to do for a chance. If you made a mistake, big or small, admit that you were wrong and don’t make any excuses or blame something or someone, because if you do, your apologies will seem fake and not meaningful. Don’t get angry if your parents give you advice, even when you know what to do already. Just say thanks and that you’ll think about it. This will help your parents know that you are listening and are accepting advice. Do not take advantage of your parents. Would you trust someone whom you know is simply using you? Always follow curfew rules. Even if the party is “just getting started,” go home when you’re supposed to. Remember: is one trivial party going to be worth the trouble and distrust you’re going to get (in)? If they don’t approve of something you are doing and begin to scold or punish you for it, don’t talk back or scream; just stay quiet and keep your comments to yourself. This will make arguments and scolding end quicker, and will keep them less angry at you. If you have to think twice about something, don’t do it. Doing something that is illegal or not permitted will be one of the fastest ways to lose your parents trust. Act maturely .This will help to gain their confidence fast. If you take offense right away, tell your parents you need time to yourself to cool off, they’ll understand. If your parents talk to you about the same thing over and over, just do what they say for a change. It takes a lot of stress away from you and them. Even though you should earn their trust, remember not to do everything for them no matter what; if you can’t trust them, their trust of you is useless. Love them no matter what happens, even if it means you can’t do the things you want to do. Don’t drink alcohol or smoke until old enough or responsible enough to handle it. I came here looking for something else, but this entertained me regardless. Entertaining stuff! Thank you and hope to see you come again.